There are some people you meet and your life changes forever. There are some decisions that you make that changes the course of your life for good. Now, indulge me and put these two scenarios together and imagine how your life will turn out. That’s my story. I made a life changing decision about a life changing person. My life has never remained the same. Today I celebrate the day he was born and the fact that he was born. Some people are born ordinary and somehow manage to live an extra-ordinary life. That is not pastor Kingsley Okonkwo’s story. Nothing about his life is ordinary I can tell you that for sure. Starting from how he was born in the back seat of a car on the way to a hospital. In a hurry to fulfil destiny if you ask me. Anyway I won’t go into all the plenty stories about his life. I’ll save that for another time. 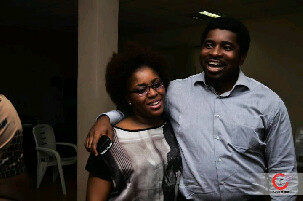 Besides I’m just here to say thank you Lord that he came and that he’s my husband *make una marry well o! * In more recent times my daughter Hadassah and I have been having a little argument. She would often run up to her dad. Hold him tightly and say to me with a very mischievous twinkle in her eye “Mummy he’s ma honey o!” Then after we’ve engaged in banter for a bit she’ll say “Ok! Mummy he’s ma daddy o!” Makes me smile that at one year ten months she already values how special her father is and special he is. Honey you know I pride myself in being able to express myself in written word but this year, somehow words fail me…. Allow me to just say thank you. For what you ask? For everything. For your strength, for your courage, your patience, your love, for staying true to what you believe and above all for being you. Happy Birthday baby. One thing I’m sure of is this year WE WILL TESTIFY! … And oh! For the record ‘dassah back off this one is ma honey o! *straight face* 😀 What I’m trying to say honey is I love you with everything that I am and you’ve definitely changed my life. 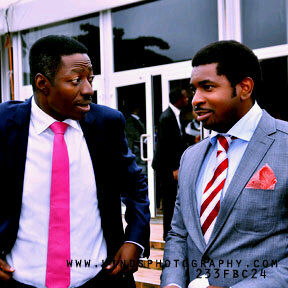 Happy Birthday Rev Sam Adeyemi. I celebrate you sir. You are such a huge blessing to us. I love you, love you, love you sooooooo much. Watch out for tomorrow’s post. Its a quiz post. Best comments get a prize. Not telling you what 😀 at least not yet. WOOOOOOOW as I read this I see that PM just really don’t have the right words to say thank you. Ma maybe next time you should write in Igbo language as I know they got good ways to explain how love is felt lol Happy birthday Pastor K.
Next Next post: Dont Marry Him If….